A stand-up paddleboard can be lots of fun on the water. But sometimes a non-inflatable SUP can be difficult to deal with on land. Unless you live within walking distance of a body of water, your paddle board will need to be transported by vehicle. Some trucks and SUVs will have enough space in the back, but most stand up paddle boards need to be mounted on the roof. Tying a stand up paddle board to a roof rack can be a hassle. The board needs to be extremely secure. If the board flies off when you’re driving down the road, all sorts of damage can occur – both to your board and anyone else on the road. Many boarders chose to install a specific paddle board holder to the top of their vehicle. Often called a taxi, this is a special roof rack designed to keep your board safe and secure even when moving at high speeds. Plus, many roof taxis include theft-protection features. The Thule SUP Taxi helps keep your stand up paddle board secure both on the road and even when the car is parked. This carrier includes steel-reinforced webbing, two locks, tool-free mounting and more. Tying your stand up paddle board directly to the factory roof rack of your car has a lot of risks. Unfortunately, your roof rack isn’t really designed for the flat shape and slick surface of a standuppaddleboard. The Thule 810 SUP Taxi has a fairly simple design. This means each part plays an important role. Fortunately, the 810 is constructed from quality components you can count on. The webbing is reinforced by steel. 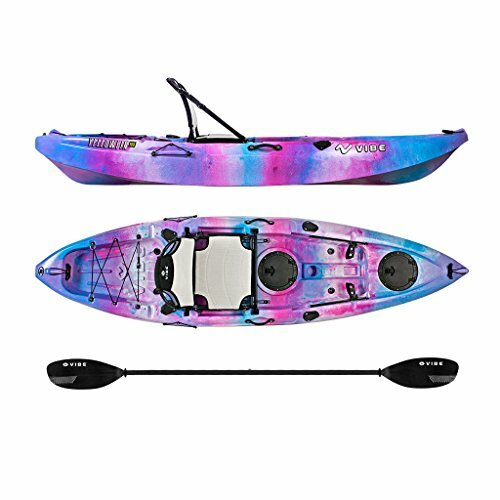 Combined with a spring-loaded locking cam, larger paddle boards can easily be accommodated. Plus, the telescoping design provides a snug fit for boards up to 34 inches wide. Installation is simple. The Speed-Link mounting system allows quick, tool-free mounting. The 810 fits most major factory-installed racks and round bars. It’s also compatible with all other Thule Rack Systems. Say goodbye to the hassle of tying your board to the factory rack. Each board effortlessly slides into position on the Thule 810. The Dual Loading design lets you transport two full sized boards without a problem. Strapping the board into the Thule 810 SUPxt Taxi is easy. While traditional straps tend to flap around loudly at high speed, the 810 lets you tuck the extra strap length into a special holster underneath the turnbuckle. This prevents the strap from whipping around and hitting the mounted boards. The rack system has two anti-chafing pads. One pad is underneath the board while the other is located on top of the board. Both prevent the straps from digging into the board and potentially causing damage. Once installed, the Thule 810 adds about an extra foot to the height of the original rack. This should still allow you plenty of clearance space unless you have an unusually tall vehicle. A paddleboard taxi needs to provide two different types of protection. First, the board needs to be completely secure during travel. You should be able to take your vehicle on the freeway or anywhere else at high speeds without worry. The Thule SUP Taxi 810 excels here. The steel-reinforced webbing keeps the straps rigid even in high winds. Plus, any extra strap length can be safely tucked away. You can pull the straps tight due to the anti-chafing strips located both above and below the board. These anti-chafing pads prevent the strips from digging into the board. If you’re still concerned about potential damage to your board, you can simply add a washcloth underneath the strap for additional padding. The other type of protection you’ll need is security against theft. If you leave your car parked, you don’t want someone to simply grab your SUP when no one’s looking. The Thule 810 taxi has two sets of locks. One set secures the paddle board to the carrier. The other set secures the carrier to the roof rack. Each set of locks uses a different key. Easy installation – Tool-free mounting lets you install the carrier quickly and without fuss. Secure – Two sets of locks keep the boards locked to the carrier and the carrier locked to the roof rack. No-flap straps – Special holster lets you store excess strap length to avoid loud and unwieldy flapping. Board protection – Anti-chafing protection above and underneath the board allow for tight-fitting straps without risking damage to tTelescoping design fits boards up to 34 inches wide. Minimal height addition – The carrier only adds about a foot of extra space to the top of your roof rack, which shouldn’t be an issue for most vehicles. Multi-board capacity – Dual-Loading design accommodates two full-sized boards. Strong – Steel-reinforced webbing adds an extra layer of strength to the carrier straps. While reading the list of features is useful, nothing beats the honest opinions of actual users. What do people really think of the Thule 810? Generally, installation gets high marks. No tools are required. The carrier easily and securely attaches to the existing roof rack of most major vehicle makes and models. Users also liked how no extra components were needed. Supports, straps and locks are all included. There’s no need to hunt around for additional parts. Plus, each component is specifically designed to work together. Another positive frequently mentioned was how quiet the carrier is. Tying a board to a standard roof rack often results in loud whistling, flapping and other noises. The tight construction of the Thule 810 reduces all noises substantially when you’re driving at high speed. While people did appreciate the anti-theft locks, that’s also the area where the Thule SUP Taxi 810xt has the most complaints. The locks secure the boards to the carriers and the carries to the rack. However, a simple slice from a nice knife will cut right through the straps. So the board isn’t as completely secure as a double-locking system might suggest. Unfortunately, basically all board carriers use straps. The only effective solution here is environmental awareness. Don’t leave your board and vehicle in any desolate or dangerous areas. Fortunately, the locks will likely deter any spur-of-the-moment opportunity crimes. If you’re a fan of paddle boarding, you’re probably more interested in the body of water you’re heading to than the roads you need to take to get there. But proper paddle board transportation is very important. At best, an unsecured paddle board results in board damage or loss. At worst, an unsecured board can cause a serious accident on the road. Tying your board to the factory roof rack is usually a hassle. You’ll need to scramble around the roof to carefully ensure the board is properly tied down. Even properly secured, you’ll have to deal with loose straps. Plus, a roof rack offers no particularly effective theft protection. A paddleboard carrier like the Thule 810 SUP Taxi is almost always the safer, easier way to transport up to two paddle boards at a time. The steel-reinforced straps and anti-chaffing pads keep your boards snug and secure even at high speeds. Installation is a snap requiring no tools or special know-how. Plus, the dual-locking system – while not completely theft-proof – does offer protection against opportunity crimes. 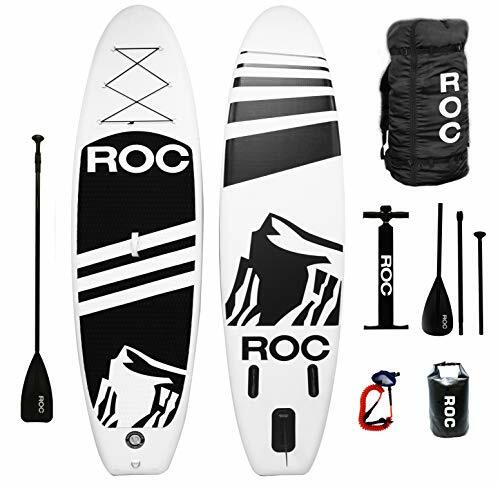 A quality stand up paddle board will be able to handle rough waters. But most can’t survive high-speed contact with the freeway. Protect your paddle board, and the other drivers on the road, by investing ina high-quality board carrier. With a great combination of price, strength and flexibility the Thule SUP Taxi is an excellent option for practically every paddle boarder.